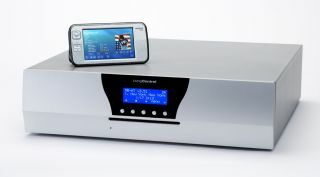 Multi-room specialist Living Control has updated its music server range with five new MusicBox models. The company - which builds all its products in the UK - says it has added even more performance and convenience, including iPod synchronisation and the ability to listen to podcasts. This network-friendly music server comes with Wi-Fi and Gigabit Ethernet connections enabling it to be controlled by your PC, Mac, mobile phone, PDA or Nokia N800 . It comes with five independent audio-video outputs and has a 500GB hard drive upgradeable internally to 2TB (terabytes). Like the NT above, the MusicBox can deliver content to five different rooms simultaneously and has a 400GB hard disk drive as standard, upgradeable to 2TB. This version has the same hard drive spec as the MusicBox 5, but adds 802.11b/g networking for "wireless internet access, digital file transfer and control". This low-end model has a 250GB hard disk (upgradeable to 2TB), and a single output - handy if you just want somewhere to keep all your music and video, without the multi-room bit.